As human civilization continues to develop, once densely forested areas have become barren concrete deserts. It is kill or be killed for endangered animals on the brink of extinction who are fending for survival. Those who don’t make it are unceremoniously dumped at the animal cemetery, and no one even cares. This is reality in the board game Run Animals, Run, which launched a crowdfunding campaign in August. Within less than an hour of fundraising, supporters had pledged the target amount. In the game, players take the roles of different endangered animals endemic to Taiwan such as the leopard cat, the Formosan black bear, the farmland tree frog, the fairy pitta and the pangolin. Fending for survival, they compete for water, shelter and food. When designing Run Animals, Run! Yen Shi Chi had more than fun and entertainment in mind. She hopes the game changes people’s values and raises their awareness about animal protection. “Animals are sicker of life than we are; they cannot even make their voices heard,” remarks author and illustrator Yen Shi Chi(厭世姬), founder of the Facebook page Zoo of Depression, which has 140,000 followers. 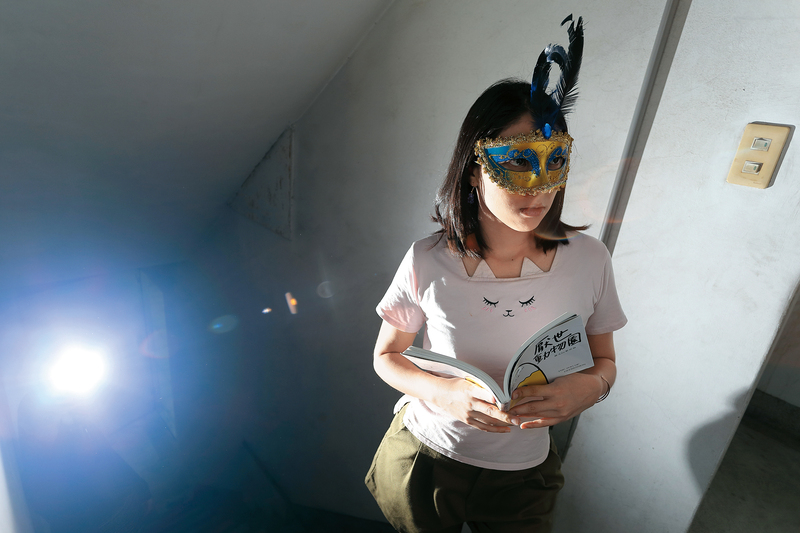 She invited two game developer teams, Teenage Riot and Homosapiens Lab, to jointly design a board game that highlights the plight of Taiwan’s endangered species – the result is Run Animals, Run! “On top of being entertaining, I want a game to have social significance and value,” notes Yen. She hopes the game will draw attention to animal protection and stir people to action. Yen is not the only one who hopes to create entertaining games that also spread values. At the beginning of the year, the Taiwan-made survival horror video game Detention triggered heated discussions around the world. Set in the 1960s when Taiwan was under martial law, the game revolves around senior high school student Ray, and incorporates elements of Taiwanese folk religion and customs, history and ghost phenomena. The art design and soundtrack create a spooky, ominous atmosphere, taking players on a chilling adventure as they explore dark secrets in Taiwanese history. The hottest board game during the past months was Raid on Taihoku [the old Japanese pronunciation of Taipei], which is about the American air raid on Taipei on May 31, 1945, the largest during World War II on then Japanese-ruled Taiwan. The players need to cooperate to survive the air raids. The crowdfunding campaign netted more than NT$6 million, an all-time record for a Taiwanese board game. Aside from history, social issues are now also drawing game designers’ attention. Shao Hui (“The Mighty Historical Site Arsonist”), an online game designed by information design studio Simpleinfo, encourages players to burn down historic sites in Taiwan in a sarcastic take on the rampant destruction of cultural assets and historic buildings on the island. The ironic game's website has seen more than two million visitors, with even Taipei Mayor Ko Wen-je following the trend. This recent gaming craze not only owes to the connection between games and social issues, but because the entire gaming industry has currently reached its height. The Economist magazine reported that the global gaming industry generated revenue in excess of US$100 billion last year, making it the most profitable entertainment industry sector. Statistics by the Taiwan Board Game Association show that it is not just electronic games that are hot; board games are gaining in popularity as well. The number of stores selling board games has increased eight-fold over the past six years. Board games generate an annual revenue of NT$500 million in Taiwan. Like the magic beanstalk in the English fairy tale, the gaming industry keeps growing taller and taller into the sky, with branches shooting out from its trunk. Game designer Jane McGonigal says in her book Reality is Broken, Why Games Make us Better and How They Can Change the World that games are not meant as an escape from reality but rather to take the initiative in making our lives better. McGonigal hopes to bring large numbers of people together through games to solve real-world problems in a collaborative effort. In Taiwan, there is a group of 20- and 30-somethings who hope to bring about change with games that tell Taiwan’s story or advocate for social issues. They use the tools they are good at to incorporate historic events and typical features of Taiwan. Clubon, a game developer studio founded a year ago, is good at designing issue-oriented reality games that explore places in the physical world. The average age of its two co-founders is under 30. “Young people around the world live at a critical point in time, they know they will be doomed if they don’t take action,” notes Clubon co-founder Wu Ya-hsuan as she discusses the trend of integrating social advocacy into games, pointing to a report in the industry publication Carat Media Weekly Newsletter that concludes that worldwide youngsters face the same predicaments, including environmental degradation, human rights violations and a widening wealth gap. In Taiwan, those aged between 18 and 35 account for 29 percent of the population, they have similar concerns and share the same values. Ponzi Scheme, a 2015 board game revolving around financial fraud designed by Jesse Li, has an average rating of 7.3 out of 10 on the online gaming forum Board Game Geek (BGG) and once made it into the top 6% of the BGG board game ranking, the highest ranking ever for a board game from Taiwan. Li, who now tutors university students, says he fears most the blank stare on students’ faces. “It's a good thing if young people are angry; it scares me when they are not angry,” notes Li, who observes that many youngsters seem like life has squeezed the juice out of them so that they don’t have any energy left to solve problems. Li believes the older generations did not attach that much attention to social issues because they believed if they make enough money, problems could be solved naturally. Therefore, collective, social problems tended to be overlooked. “However, young people see different challenges from their parents; they are also more willing to imagine solutions and even to pool everyone’s forces to solve problems,” Li says. When games are interactive and give players the feeling they are personally living through the events of the game, they are more likely to become engaged with the subject of debate. Fan Bin-lin, head of the Department of Digital Technology Design at National Taiwan University of Education, points out that, when games offer different roles and allow players to control the entire game, the sense of engagement will become stronger if the outcome changes with each decision taken. Yang Chih-chieh, associate professor at the Department of Multimedia and Entertainment Science at Southern Taiwan University of Science and Technology, believes that if a game offers merely passive absorption of information in an overview, players cannot see any real change. How can one catch players’ interest in a fiercely competitive gaming world? 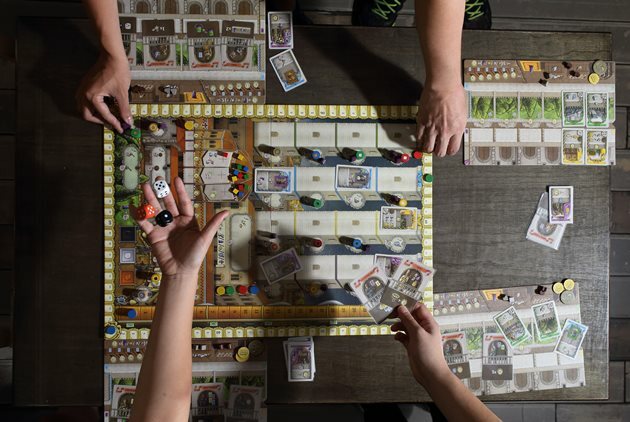 Banking on artistic presentation and probing into historic and social issues, Taiwanese board games have been able to stand out from the crowd in recent years. In contrast, Shao Hui uses a simple rhythm game to let players burn down historic places in Taiwan. The more sites a player reduces to ashes, the more points he gets. After each round, the player can see his track record, a description of the sites he gutted, and an overview that details the threats to Taiwan’s cultural heritage sites. Once players click into the overview, they are likely to get more involved with the complex topic of heritage site preservation. The Wonderful Island series of board games, inspired by Taiwanese politics, also posted successive crowdfunding records. The third game in the series, KMT War, which was released in 2015, generated NT$4.2 million in sales. Game designer Wu Po-yang is an amiable, cultured individual whom friends and colleagues affectionately call “Little Wu.” It is hard to imagine that Wu is behind the highly sarcastic game, which revolves around the Kuomintang’s internal power struggles. Featuring the power struggle between the blue and green camps, social movements, and the KMT, the three games in the series have been able to tap public sentiment and follow social trends. Wu is good at blending political scenarios and Taiwan's electoral culture into the games. After collecting news articles about the politicians, Wu exaggerated their features and portrayed them on character cards with different skills sets. For example, the player taking the role of former President Ma Ying-jeou has the “handshake” skill. 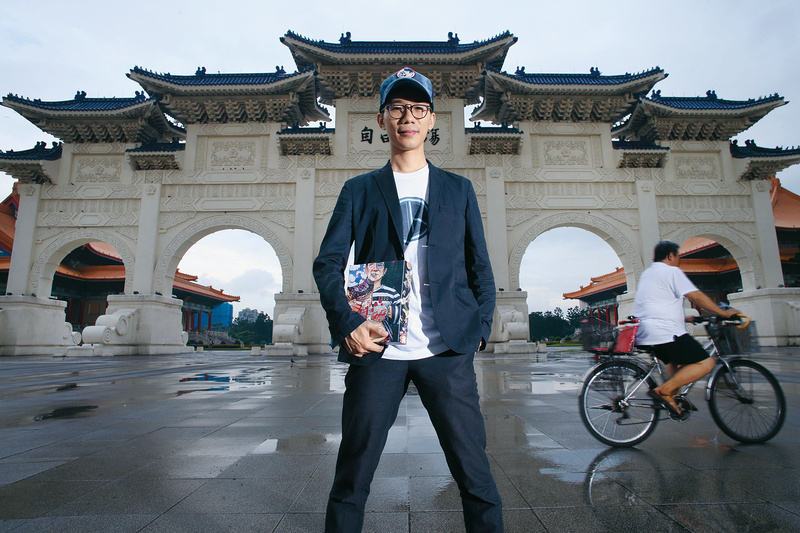 Aside from social and political issues, Taiwanese history is also proving popular with young game developers and designers. These games are somewhat different in that the designers use historical records and in-depth interviews as reference to create stories that are based on historical facts. Pan Tsung-yi, head of the Department of History at National Dong Hwa University, points out that schools in Taiwan began to teach Taiwanese history from the middle of the 1990s. And Taiwan's march toward democracy was crucial in that it became possible for games to talk about these historic events. “Rather than saying we are talking about history, we are really talking about feelings,” remarks Lee Chu-shou, producer of e-game Rainy Port Keelung and general coordinator at Erotes Studio game design. Lee explains that “feelings” means the attitude we take when facing the land and history. Lee’s team is probing Taiwan’s local history because “We want to pull the White Terror [period] down from the altar; it should not be taboo. It is unique to Taiwan; only if we face it can we move forward,” Lee says. As a history professor, Pan is not concerned that games simplify historical facts. He believes everyone should be allowed to express their own opinion and memories regarding history. Recently Taiwan has seen a craze for reality games that aim to get to know a city well by solving riddles on a real-world sightseeing tour. Clubon has developed The Missing Hotel, which sends players across the city of Chiayi exploring the traces of Chen Cheng-po, a local painter who was executed in the wake of the February 28 incident of 1947. Most themed board games, independent games or reality games are produced by small studios. Alan Kuo, general manager of Marsware, observes that mainstream gaming companies invest huge sums in game development and usually take a long time until their products hit the market. To hedge their risk, Kuo says, large companies develop products with the market in mind. They use their existing intellectual property and expand on it, or they jump on the bandwagon and design games on topics that are already on the market. That’s why many games have a lot in common and do not differ much when it comes to how they are played. Meanwhile, game production costs and technological hurdles have come down, and experimental and creative potential has grown stronger, so that young game developers are beginning to look for alternatives. They tend to first choose subjects they are familiar with but which are not being offered in the market. As a result, the gaming industry is becoming more diverse. Puddles on Liberty Square reflect the silhouette of Wu Po-yang. With his Beautiful Island series of board games, Wu hopes to trigger young people’s interest in politics. This is another reason why a growing number of young independent game developers take up social advocacy or Taiwanese history. They also take advantage of new modes of funding such as crowdfunding campaigns that boost both reputation and sales. Kuo points out that the thematic blend in games like Detention or Raid on Taihoku provides an emotional engagement and topic of conversation for players in Taiwan. The buzz that accompanies the launch of such a product certainly helps generate widespread interest. The rise of online fundraising platforms and social communities in combination with cause-related marketing results in unstoppable game crazes. Chou Chao-hsin, COO of board game publisher and developer EmperorS4 Technology Co. Ltd., notes that interest in issue-oriented board games is quite high in Taiwan. 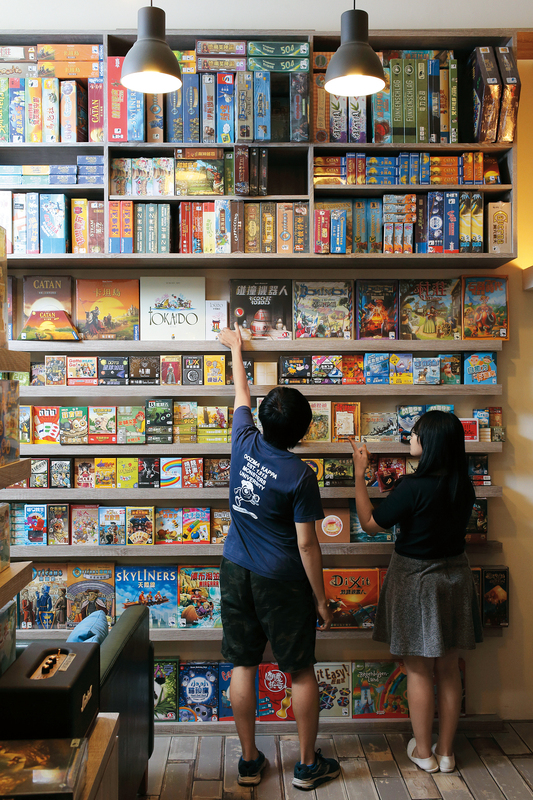 Since local consumers generally lack awareness of board games, game designers need to use popular issues in Taiwan to create buzz that attracts customer attention. “The board game market in Taiwan is quite small, but the market for issue debate is large,” posits Chou. Getting people to talk about certain subject is not without challenges. Kuo warns that the imaginative potential of games that blend history and social causes is limited. There are also critical voices who posit that such games exploit consumers’ sense of belonging and ethnic identity. Ho Chen-kuo, secretary-general of the Taiwan Game Industry Promotion Alliance (TGIPA), says, “Many games open Taiwan’s old wounds, dividing ethnic groups.” He suggests that, aside from using irony, games should stir people to action to improve the current situation. Game developers are beginning to think about how social dialogue can be inspired through self-motivated game participation, as well as how virtual visions can be blended with reality to mobilize greater social participation and collective action. In her book, McGonigal also emphasizes that people aspire to do something that matters in their real lives. The Korean social enterprise Tree Planet, for instance, plants real trees to become forests in real life for every baby tree players plant while playing the Tree Planet game on their smartphone or web browser. Information on the growing forests in several countries around the globe is reported back to users to keep them engaged. So far, more than 500,000 trees have been planted thanks to funds raised through the game. Jesse Li jokingly admits that he once had life sucked out of him too, but now that he has delved into board games, he hopes to put his ideas into practice through games. Games are important cultural carriers. For the gamer generation, they have also become major storytelling tools. “The objects that games carry are unforgettable. Virtually everyone has had the experience of being touched by a game, perhaps being moved to tears playing Final Fantasy or learning Japanese while playing [the Japanese video game] Romance of the Three Kingdoms. This is how we grew up,” remarks Yang Shi-wei, co-founder of Red Candle, the independent game studio that produced Detention. He believes that games are indispensable. “Storytelling is a kind of protest against the growing lack of imagination, against single solutions, to make people muster the courage to say 'No, I feel the world can be run differently’,” posits Jesse Li. The gamer generation is not just telling Taiwan’s story, they also hope to mobilize the entire world to jointly bring about change. Next Violent Video Games: Harmless Fun After All?